When you think of a Disney Cruise Line vacation, a lot of people don't often think of romance. However, while I love spending quality family time on the cruise, one of my favorite parts of a DCL vacation is having some "adult time" for my husband and I. 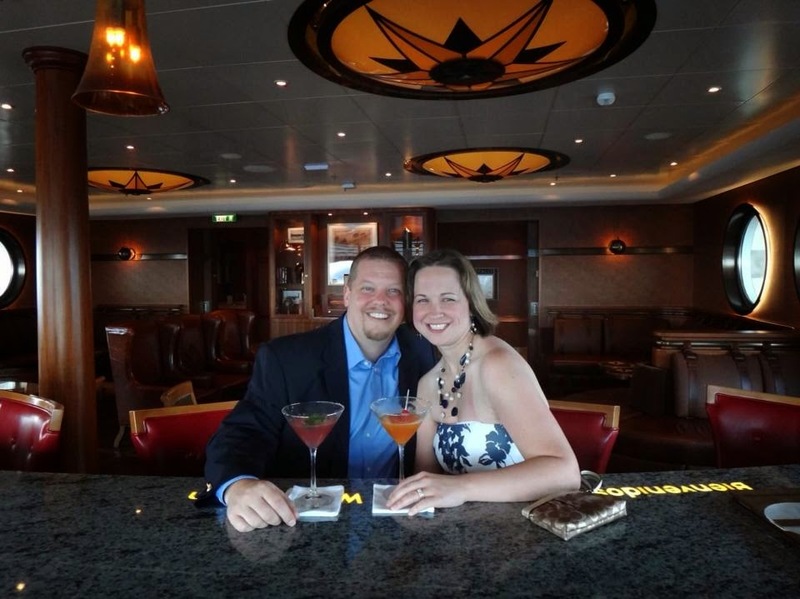 In honor of Valentine's Day, here are three quick tips to make your next DCL vacation a bit more romantic. Tip #1 - Take advantage of the nursery and kids clubs - Kids will LOVE spending time in these bright and colorful areas of the ships where they can play and interact with the amazing Youth Team and some of their favorite characters. You can enjoy a few guilt-free, child-free hours on board while you know your children are well cared for and having as much fun as you are. 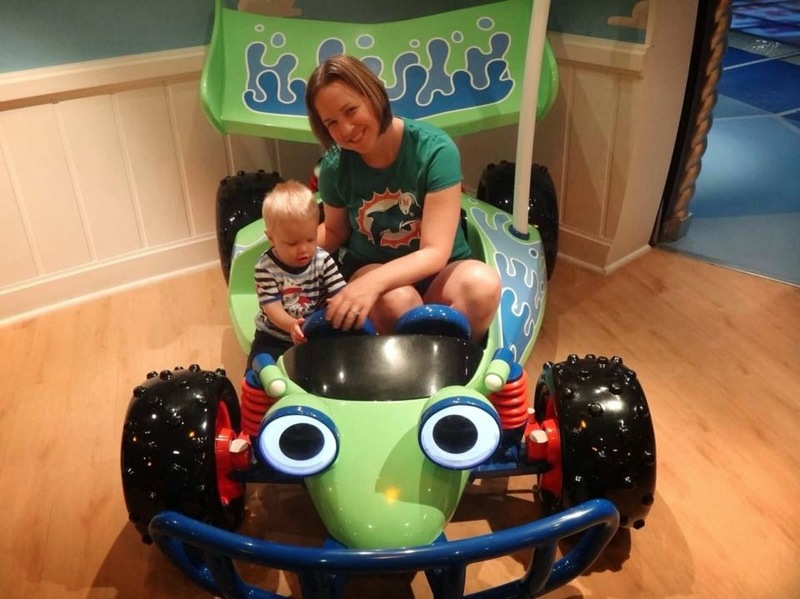 There is a per hour charge for the nursery which is available for children under 3, but the other youth spaces are included in your cruise fare for all children over the age of 3. The ship has plenty of adult only spaces to explore including pools and nightclubs that are often a lot less crowded then you would expect. Tip #2 - Try out one of the adult only restaurants - Whether it's a brunch or a dinner, be sure to spend at least one meal (or more if you're like us!) at either Remy or Palo. Palo features delicious Italian cuisine and is available on all four Disney ships while Remy serves French delights and is available on both the Disney Fantasy and Disney Dream. We have had the pleasure of eating at both Remy and Palo on our previous cruises and the food, service, and atmosphere did not disappoint. Brunches are typically seres on at sea days only while dinner is available each night. While, these restaurants do require an additional fee, they are a wonderful way to spend some alone time with your significant other. 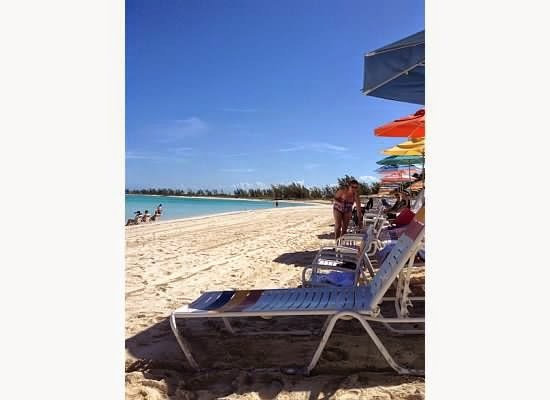 Tip #3 - Don't forget about Serenity Bay - While on Castaway Cay, Serenity Bay is located on the backside of the island and is the adult only beach. When we traveled on our last cruise, we spent time on Serenity Bay and were surprised about this hidden gem. There were hardly any people on this side of island and we enjoyed some quiet time on the beach - along with a few cocktails! And once again, you don't have to worry about the kids. Scuttle's Cove is available on Castaway Cay for kids 3 and over to have fun with attractions and games just for them while you sneak in a little romantic time! A view down the beach of Serenity Bay! What's you favorite way to get romantic on a Disney Cruise? ?